A General Manager That Holds the Highest Standards for Service, Quality and a Welcoming Atmosphere Is What We’re Searching For! Apply Today for our location in Boston, MA. Our company’s passion is hospitality, over-the-top performance, and creating a legacy of greatness that will endure and prosper for generations to come. Our company started less than 10 years ago, we currently have over 20 locations in over 6 cities and many more in the process of opening. We depend on our General Manager to ensure our employees are creating a great dining experience for our guests. We value our General Manager and employees highly and invest so much in creating a supportive work environment focused on integrity, excellence and exceptional service. Company values are expected and behaviors are woven throughout the training to reinforce how we treat our guests-and how we treat each other-is as important as the specifics of the job itself.Don’t miss out on this exciting opportunity as a General Manager in Boston, MA. Job Description: The General Manager will demonstrate leadership and expertise in all areas of restaurant management areas and be responsible for all restaurant operations, including managing an average $3.8 million in annual sales. The General Manager will oversee 3 to 4 specialty managers and greater than 75 employees. This person will model and demonstrate leadership grounded in our Core Values. Successful performance is measured by constant delivery of balanced results through our systems, methods and procedures from the perspective of our stakeholders. This leads to sustained growth in sales and profits achieved through personal, people, business and results leadership. Apply Now – General Manager located in Boston, MA. Compensation of 65,000 to $70,000 plus bonus. 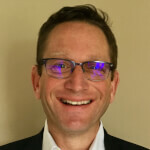 Brian Blum is the franchise partner for Gecko Hospitality in Massachusetts, Maine, New Hampshire, and Vermont and he is an active member of NAPS. Brian's ability to educate and assist restaurant leaders with their employment decisions while sticking to his values of honesty and respect and his mantra of "people work for people", have set him apart from the competition. Organizations now more than ever are looking for top talent and Brian's ability to bring together talented Restaurant Managers, Chefs and Directors with his contacts at both National and independent Restaurant companies have made him one of the most sought-after recruiters in the industry. Brian is a graduate of the University of Massachusetts and has experience as Restaurant General Manager and Area Director for both corporate and independent restaurants groups.